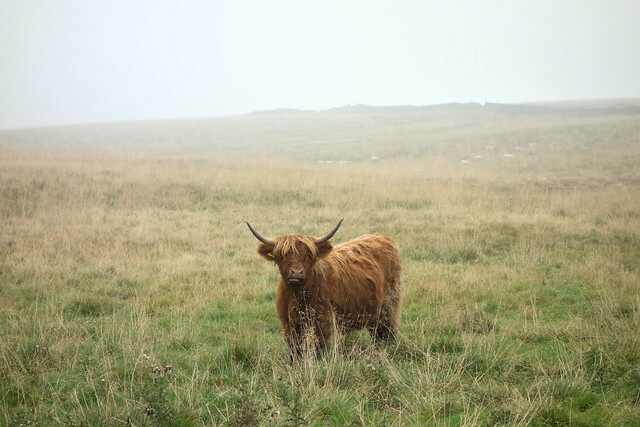 It's a breed called Highland: a highland cow. It has no belt, so head on is fine. You did the Belted Galloway just right as it just be another Black Angus if the belts are not in the photograph. The cow before that was a French breed called a Charolais. Is the word not coo, plural kye? Since Settle implies south of the border, an exotic or perhaps an immigrant, unless these are also native to t'north and other southern pairts. The Belted Galloways are, of course, also Scottish. But both breeds are well adapted to rubbish upland grazing, of which we have a plentiful supply.